Robert "Bob" Ford, PhD, was born in North Braddock, Penn. He attended Pennsylvania State University, where he earned a B.A. in education. He taught mathematics in the North Braddock school system and then entered graduate school at the University of Pittsburgh. There, he earned a PhD in statistics/social psychology. Subsequently, he matriculated as a faculty member at the University of Kentucky, the University of Alabama and Mississippi State University before settling at Vanderbilt University as professor and Chairman of the Department of Sociology/Statistics. 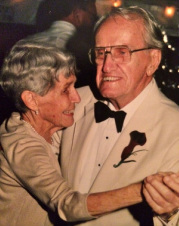 World War II came along and he served in Italy and the U.S., repatriating German P.O.W.s. After the war, Bob went to work at AT&T as Director of Manpower Utilization until his retirement. Bob died in 2006 at the age of 97. His sense of humor was legendary and he possessed an incredible knowledge of our language and its nuances. He said that the best thing that happened to him in his life was funding the initiation of the School and Orphanage Project in Grison-Garde, Haiti, that bears his name. a B.A. degree from Pennsylvania State University and attended medical school at Duke University, where he stayed on for his internship and residency, eventually becoming Chief Resident in Pediatrics. He subsequently served in the United States Army Medical Corps, and then in private practice as a pediatrician in Charlottesville, Virginia until his retirement in 2004. 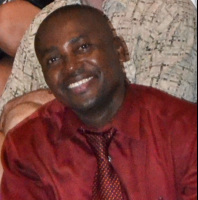 He was also a member of the Pediatric Clinical Attending Staff at the University of Virginia for many years. to provide medical care to communities in need, including those in Nicaragua, Honduras, Jamaica, Belize and Haiti. For this volunteer work, he's received several humanitarian awards, the most recent being the 2006 Duke University School of Medicine Humanitarian Award. As Medical Director for the Haiti Mission, which supports the Tovar Clinic in Grison-Garde, Haiti, Dr. Ford returns to the community four to five times each year with a team of doctors, nurses and volunteers to provide much-needed medical care to thousands in a matter of days. Dr. Ford has been married to his wife, Susan, for 51 years. They have two sons, one daughter and five granddaughters. Eugene Maklin was born in a rural section of Haiti called Matabonite, approximately two hours from Cap Haitian. After finishing his studies in Northern Haiti, he attended medical school at Ouisqueya University in Port-au-Prince, the capital of Haiti. 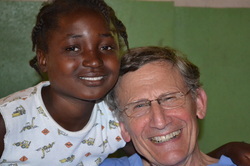 As a practicing physician for more than a decade, Dr. Eugene has served many communities in Northern Haiti. He was instrumental in providing relief to earthquake survivors in 2010 as they fled to rural communities, securing food and medication for the needy. He now serves patients in multiple community clinics within Grison-Garde and beyond, and is in the process of establishing a new clinic in the nearby town of Plan du Nord. In addition to patient care, Dr. Eugene is actively involved in outreach efforts to educate communities about water sanitation and cholera prevention, as well as microfinance opportunities. He is an invaluable member of the Ford Foundation team, connecting American dollars to those efforts that will make the biggest impact for the people of Haiti. 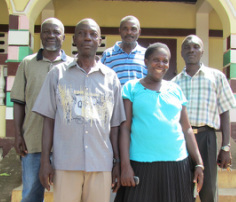 Without the committee of dedicated elders within Grison- Garde, the Ford Foundation would not be. It was their foresight and concern for their neighbors that inspired our mission to educate, house and feed the children in this area. This group has been hands-on in the day-to-day running of both the orphanage and school since its inception, and continues to push for greater opportunities for their youth. Members include: Leonel Bastien (Coordinator), Tony Dorleans (Treasurer), Josue Bastien (Accounting), Mislin Bastien (Advisor), Mme Elie Taris (Advisor), Mme Marthurin Fancois (Secretary), Mme Delouis Bastien (Advisor) and Tertilien Floreal (Advisor).